Geo. F. Huggins & Co. (G’da) Ltd., local distributor for Lucozade, shares the belief that sport is an essential tool for the holistic development of our nation’s youth. Hence, the company was honoured to partner with Digicel and Chelsea Football Club to host the Digicel/Chelsea Kickstart 2013 on 22 and 23 April, at the Grenada National Stadium. This initiative gave thirty young boys and twenty local coaches the opportunity to partake in valuable football training from three of the world’s best youth coaches. The sessions provided a unique opportunity to the young ones to harness their potential and for the local coaches to sharpen their training and coaching techniques. 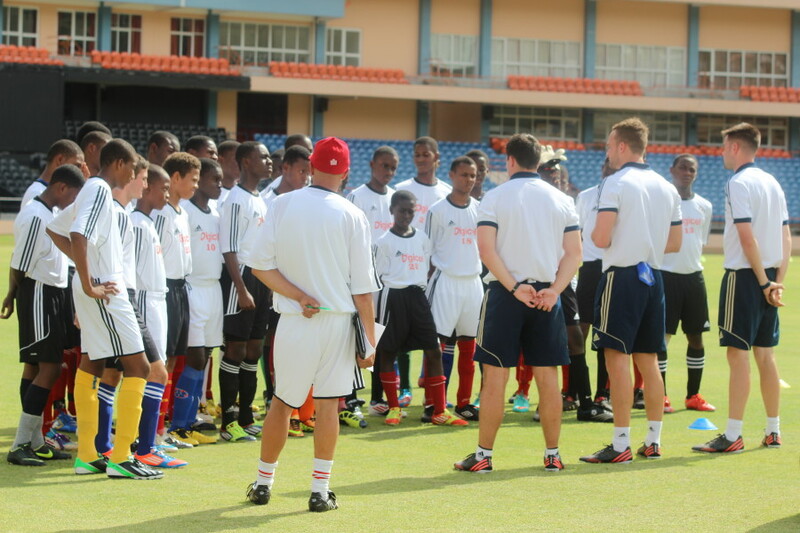 The top three most talented young footballers from Grenada will be joining other footballers from nine countries in the Caribbean and Central America at the Digicel Academy in Barbados from October 21st to 26th this year. Chelsea Football Club is an English football club based in London. They play in the Premier League and are in the top tier of English football.